Like many industries, legal services is poised for change. Demand for outside corporate legal services is shrinking as more companies bring work in-house or engage providers other than law firms for certain services. As the general counsel of a $2 billion global industrial manufacturer, I saw an opportunity to help companies and law firms adapt how they deliver legal services. Just over nine months ago I founded Nimble Services, a firm that leverages flexible resources, business process design and technology to transform how legal work gets done. In January 2017, Nimble conducted a survey on the outlook for the legal services market. Participants encompassed a wide variety of perspectives, including corporate legal departments and law firms of all sizes from both inside and outside the U.S. (Full results here.) 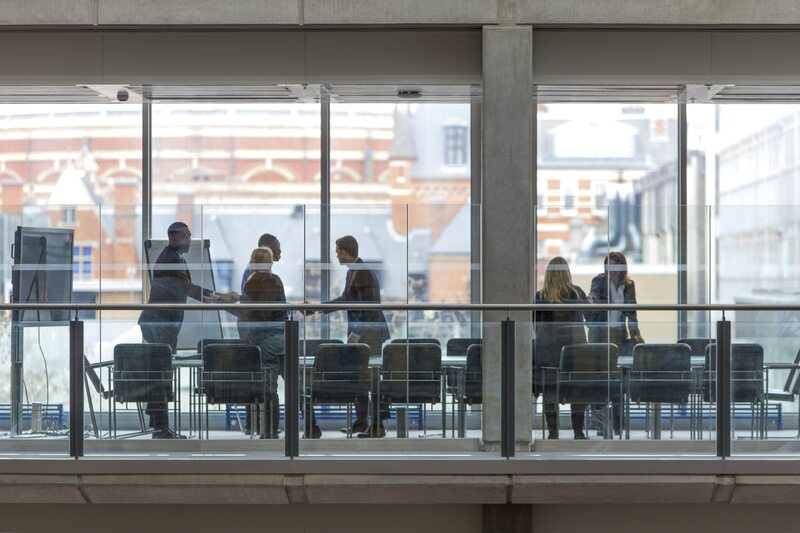 The responses pointed to an industry under pressure and highlighted both alignment and disconnect between law firms and their corporate customers. The message is clear: if you want to thrive, you’ll need to embrace the idea that how law is practiced is fundamentally changing. In the Nimble survey, most participants predicted steady but modest demand for legal services. About 60 percent of law departments and 55 percent of law firms indicated that they expect overall demand to be “flat” or “somewhat lower.” Demand for litigation services looks to be even softer, with 80 percent of corporate law departments estimating flat or somewhat lower demand. Responses showed that companies are becoming more selective about when to litigate and are more likely to settle early when armed with the cost-benefit analysis of the time and resources associated with litigation. Law firms were somewhat more optimistic as 46 percent predicted litigation demand would be flat or somewhat lower. Since the “Great Recession,” both law firms and in-house legal departments are tasked with trying to do more with less. Both have reduced staff. Corporate law departments have brought more work in-house and consolidated outside providers. They also keep a close eye on cost with 67 percent of legal matters having an agreed, written budget. Meanwhile, law firms have raised rates and prolonged the path to partnership. Just under 50 percent of the participants felt these measures have succeeded. The Nimble survey showed that both legal departments and law firms planned to address these challenges. The priority on both sides was improving efficiency. Based on the responses, more effective use of metrics may be a place to start. About 66 percent of survey participants use metrics. For corporate law departments, the top three most used metrics were total spend, spend compared to budget, and outside spend as a percent of total. For law firms, the most common metrics were revenue per attorney, total expense by practice area, and billable hours. These metrics are a great start, but tend to be more focused on “reporting the news” and less focused on driving behavior. So now that over 67 percent of matters have budgets, the question is how law departments will use budgeted matters and the data that gets collected regarding those matters and the tasks within them. Which legal service providers are almost always at or below budget? Which legal service providers are almost always over budget? How was the quality of the service? Under budget but poor service is not a good outcome. For highly repeatable matters, corporate clients and law firms might each ask, how can we improve the process to take fewer steps, move faster and get more cost certainty? More accountability will develop as the metrics become focused on comparing effectiveness of resources, setting targets and aligning the performance metrics of law firms to client needs. Yet another way to improve efficiency for legal service delivery by both law departments and law firms is to automate and streamline highly repeatable processes that can be as simple as matter intake, billing, bill review and collections, or more complex, such as contract review or certain litigation matters. These highly repeatable processes allow more mature organizations to not only become more efficient, but develop valuable data from these transactions that can be later be applied for other more complex and precise decision-making. For example, the pricing of different types of legal matters. On average, 34 percent of matters are handled with alternative fee arrangements other than discounts. While there was a range of percentages, the average discount was 10-20 percent. Some 55 percent of law firms were considering new pricing strategies in 2017. Some 63 percent of companies believe firms could increase demand for their services by proactively offering alternative fee arrangements or value-based billing. Some 45 percent of law firms saw value in adjusting pricing models. For companies, 67 percent of matters were managed with a budget. These changes point to an evolution in the thinking about how attorneys create value—increased expectations of business acumen, no open checkbook, transparency, predictability and accountability among them. Simply put, those purchasing legal services want cost certainty. And flexibility. Of the law firms that participated in the Nimble survey, 82 percent planned to increase their marketing in order to increase the demand for their services. Yet, only 6 percent of law department respondents recommended increased marketing as a means for increasing demand for legal services. Instead, law departments recommended increased offerings. Alternative fee arrangements or value-based billing as well as partnerships with alternative service providers were among the offerings they wanted. Based on the Nimble survey results and in order to meet client interests, I’d recommend that law firms concentrate their marketing campaigns to show how they can provide alternative fee arrangements, contribute to operational efficiency and provide innovative delivery of legal services. As the legal services industry continues to evolve, the changing expectations from purchasers of legal services will call for a new kind of partnership. The survey results showed an opportunity for law firms to be more proactive. Some 64 percent of firms plan initiatives to better understand what clients want through strategic planning and one-on-one client meetings. However, only 18 percent of law firms indicated that they use formal client satisfaction surveys. On the flip side, only 33 percent of in-house departments were doing formal reviews of their legal service providers. Alternative legal service providers—offering document review, e-discovery, contract management, and regulatory and compliance support even though they are not law firms—offer a way for both law departments and law firms to deliver legal services in different way. They create flexibility and efficiency for both in-house departments and law firms by offering outsourced managed services, peak-time staff augmentation and resources with complementary skillsets. Based on the survey results, in-house departments are interested in exploring the options that alternative legal service providers bring to the table. Some 37 percent indicated that they will be exploring outsourcing to these providers in 2017 and 32 percent thought law firms could increase demand for services by partnering with them. All in all, 2017 should be an interesting year. Legal services are in the early stages of enormous change. This is both exciting and scary. Nimble is excited to be on the forefront of these shifts and working with our clients to adapt to the changing legal marketplace.